FADERFOX Faderfox Micromodul UC4 Universal MIDI Controller vinyl at Juno Records. 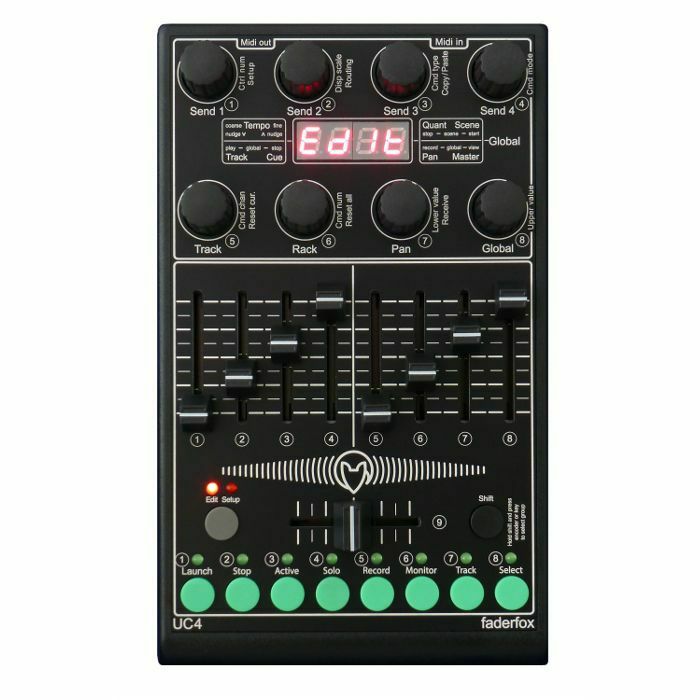 The all-rounder has 8 push-encoders without detents, 9 faders and 8 buttons, all switchable to 8 controller groups that allow to control a total amount of 264 control parameters. A 4-digit-display and 8 leds show the current values of all controls. Different command types like control change (CC), pitch bend, program change, notes etc.